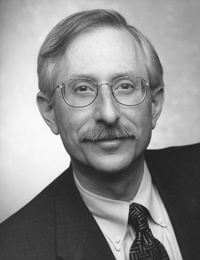 Ron Gass is an attorney specializing in reinsurance and insurance law, commercial arbitrations, and alternative dispute resolution. He is an ARIAS-U.S. Certified Arbitrator and Umpire and a member of the American Arbitration Association Roster of Neutrals. Mr. Gass has over 35 years of legal experience, 30 years of which have been devoted to the practice of reinsurance and insurance law. Since establishing his arbitration practice in January 2002, Mr. Gass has served as either an arbitrator or umpire in over 125 reinsurance arbitrations involving a wide range of complex, contentious, and high-stakes commercial disputes. 2/5/15 -- In the absence of any facts or arguments justifying the parties' joint request to continue sealing the record of a granted arbitration award confirmation petition, a N.Y. federal dist. ct. judge ordered additional briefing on the issue of whether the parties have overcome the strong 2nd Cir. presumption of public access to judicial documents and, in particular, the adjudications of substantive rights notwithstanding 7th Cir. precedent cited by one party suggesting that this presumption is not triggered by a petition to confirm an arbitration award because it is a "ministerial act." Clearwater Ins. Co. v. Granite State Ins. Co., No. 15-cv-165 (RJS), 2015 U.S. Dist. LEXIS 13792 (S.D.N.Y. Feb. 5, 2015). 1/27/15 -- 9th Cir. grants rare writ of mandamus overturning Nev. fed. dist. ct. mid-arbitration ruling removing an AAA arbitrator for alleged "evident partiality." In this case involving disputes under numerous condominium purchase and sale agreements, the 9th Cir. reaffirmed the majority view that ct. review of an arbitration proceeding must come at the beginning or the end, but not in the middle, absent an "extreme case" involving "severe irreparable injury" that would result in "manifest injustice." The dist. ct.'s erroneous interpretation of 9th Cir. dicta to justify its mid-arbitration intervention and the importance of this novel issue warranted granting such extraordinary mandamus relief. Sussex v. United States Dist. Ct. for the Dist. of Nev., No. 14-70158, 2015 U.S. App. LEXIS 1280 (9th Cir. Jan. 27, 2015). 12/4/14 - Whether the wording of a fac cert reinsuring a cedent's umbrella policy covered expense in addition to loss was held to be ambiguous by the 2d Cir., which vacated a NY fed. dist. ct.'s grant of the reinsurer's summary judgment motion and remanded the case for further proceedings. The 2d Cir. was not persuaded that Bellefonte Reins. Co. v. Aetna Cas. & Sur. Co., 903 F.2d 910 (2d Cir. 1990) and its NY progeny established a presumption that limits of liability in fac certs are unambiguously expense-inclusive. In this case, the cert's language was sufficiently ambiguous to require consideration of extrinsic evidence on the inclusiveness-of-expense issue. Utica Mut. Ins. Co. v. Munich Reins. Am., Inc., 2014 U.S. App. LEXIS 22765 (2d Cir. Dec. 4, 2014). Copyright © 2002-2019 by The Gass Company, Inc. All rights reserved.